Helena had worked for many years in another body sculpting practice that provided CoolSculpting. She loved that a non-surgical procedure could target areas of unwanted fat and reduce them significantly. She saw it working daily! She also worked with other technologies and realized that combining the CoolSculpting procedure with other non-invasive devices enhanced results remarkably. It makes perfect sense. The CoolSculpting treatment is the gold standard in removing excess fat without plastic surgery. When we add other tools that use different technologies it helps enhance the speed and amount of fat cells leaving the body. The CoolSculpting procedure isn’t for everyone. The best candidates have engaged in diet and exercise, but still have unwanted pockets of fat. Depending on your goals and your body we will suggest the number of treatments and treated areas. Using our 3D body imaging you get an honest opinion of your expected results, and a way to measure final results. CoolSculpting is fairly painless and you should be able to return to normal activities after the treatment. It’s not cosmetic surgery and doesn’t have the recovery time and side effects of traditional procedures like tummy tucks. Call us today If you're looking for CoolSculpting in Central Florida. BodEnvy has done much research into CoolSculpting and determined that it’s a class leader in non-invasive body sculpting treatments. It’s simply the best! We are so confident in the technology we have made it the foundation of all our CoolSonic Plus body sculpting services. 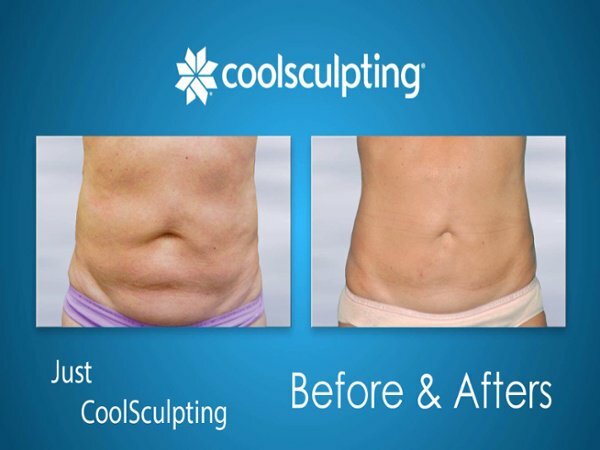 CoolSonic Plus is BodEnvy’s patented program that utilizes CoolSculpting as the base treatment, but also utilizes other FDA approved and scientifically proven fat reduction, skin tightening and muscle toning technologies into a regimen. It’s this regimen of services that makes BodEnvy the leader in body sculpting services. It received it’s FDA approval in 2014. Since then millions of procedures have been performed. It started when two doctors at Massachusetts General Hospital noticed that when kids ate popsicles they received a fat reduction in their cheeks.They made a note of it and referred to it as “popsicle panniculitis.” Since then it has received FDA approval for targeted fat removal in body areas including: abdomen, thighs, flanks (love handles), bra fat, chin (neck), lower buttocks area. If you are looking to improve the shape of your body without cosmetic surgery? Getting this procedure could be part of your solution. Let’s face it, most people have unwanted fat or excess fat. The treatment freezes a percentage of fat cells, which causes them to die. These cells are then processed thru the body and expelled. It’s easy and most patients experience little to no pain. Remember that it's FDA approved for targeted fat reduction. It’s a great treatment to get rid of stubborn fat that doesn’t respond to diet and exercise and best of all its a non-surgical procedure. Many people in Central Florida decide on BodEnvy CoolSculpting Orlando Fl to target areas of stubborn fat in the abdomen area versus electing for plastic surgery for procedures like tummy tucks. This treatment is non-invasive and doesn't require a plastic surgeon. One of the great outcomes is that a portion of the fat cells in the treated area are gone forever. Many people don’t realize that when you lose weight the fat cells in our body do not leave, but instead they shrink. With cooling treatment the fat cells are cooled, which kills them and then they are removed naturally from the body. During the treatment the skin is not harmed, but a percentage of fat cells are incapacitated. The cells leaving your body over the next few months will reduce the size of your waist.